All new 2018 Hyundai Santro bookings crossed more than 15000 units in India. 11,000 INR is the booking amount for the 2018 Hyundai Santro. The car is expected to cross 20000 units for booking before the launch next week. 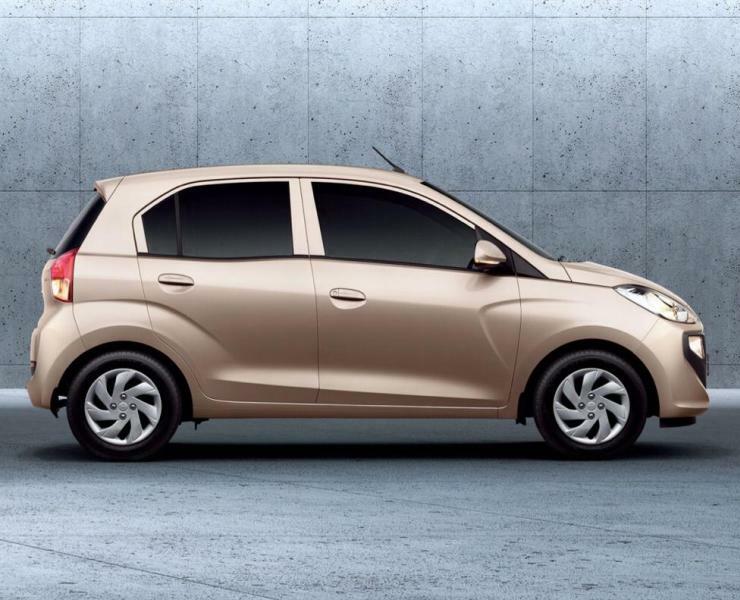 New Hyundai Santro price in India will start at 3.87 Lakhs and will go up to 5.35 lakhs INR. Globally also known as Hyundai Atos, the Indian Hyundai Santro will continue to come with Santro nameplate as it was recognized in India. The car will be launched on 23rd of October and bookings are open just 15 days before. First 50000 customers will get a special introductory price for the 2018 Hyundai Santro. New Hyundai Santro price starts at 3.87 lakhs for the base variant and will be also offered with AMT and CNG variant. The top end CNG Magna trim is priced at 5.35 Lakhs. A 5-speed manual gearbox and AMT will be offered in this car for the first time in Hyundai. The gearbox will be mated to 1.1 liters 4 pot petrol engine that produces 70PS-100Nm while the same engine produces 57PS-77Nm with CNG mode on. New Hyundai Santro is expected to have 20.3kmpl that will be tough competition to its rivals like WagonR, Celerio and Tata Tiago. In terms of features, the car will get first in segment rear seat AC vent and touchscreen infotainment with apple car play and Android auto in top-end trim. Parking sensors and reverse parking camera will be added first in segment features in 2018 Hyundai Santro. The car will come with ABS and driver airbag as standard in base variant. Top variants will get passenger airbags as well. Hyundai India will remark successor old Santro with the new Santro. The car is already in dealerships and getting ready for deliveries on 23rd of October soon after the launch.